Into its third year, the Architecture Exchange attracted over 100 students from across our Architectural Design courses to hear presentations by NTU alumni, meet and network with industry and employers, and showcase an exhibition of current work. Into its third year, the Architecture Exchange event attracted over 100 students from across our Architectural Design courses to hear presentations by NTU alumni, meet and network with industry professionals and employers, and showcase an exhibition of their current work. This year's event, organised by the NTU Employability Team and sponsored by the Royal Institute of British Architects (RIBA), invited industry professionals, employers and alumni to NTU's Newton building in February to share their own experiences and expertise with a view to help inspire and motivate those looking to join the profession in the coming years. NTU students from BArch (Hons) Architecture, BSc (Hons) Architectural Technology and BA (Hons) Interior Architecture and Design courses, in their second and final years of study, were encouraged to attend the event to give them a head-start on thinking about their careers after NTU. Three successful NTU alumni, all at varying stages of their careers, presented at the event. Michael McPheat (BA Hons Interior Architecture and Design, 2015) who works for Dalziel & Pow, where he also undertook his placement year; Andrew Tape (BSc Hons Architectural Technology, 2004) Global BIM Coordinator for Benoy; and James Fairweather (BArch Hons Architecture, 2014), Urban Designer for Pegasus Group. James said after the event: "Architectural Exchange evenings such as this are invaluable to get students communicating with and impressing prospective employers – finding a job can be a difficult process and often does not involve face-to-face contact time. Having the opportunity to view the work that students are producing in a social environment is a great way for them to meet industry professionals." Industry representatives from a number of companies from across the UK, including Foster & Partners, Benoy, Dalziel & Pow, and Newman Gauge, took part in round-table discussions and Q and A sessions with the students around enhancing their employability, followed by an opportunity to network and look around the student exhibition of work. James said: "Pegasus Group uses networking extensively; it's an important way to showcase the work done by teams around the country as well as to source new staff. Having students involved in this process at an exchange event is important for students and employers alike to bridge the gap between education and employment. The chance to see student presentations and their technical and social skills, that have a real world application, is a fantastic way to source the best designers of the future, as well as an opportunity for students to contact multiple employers in one evening." 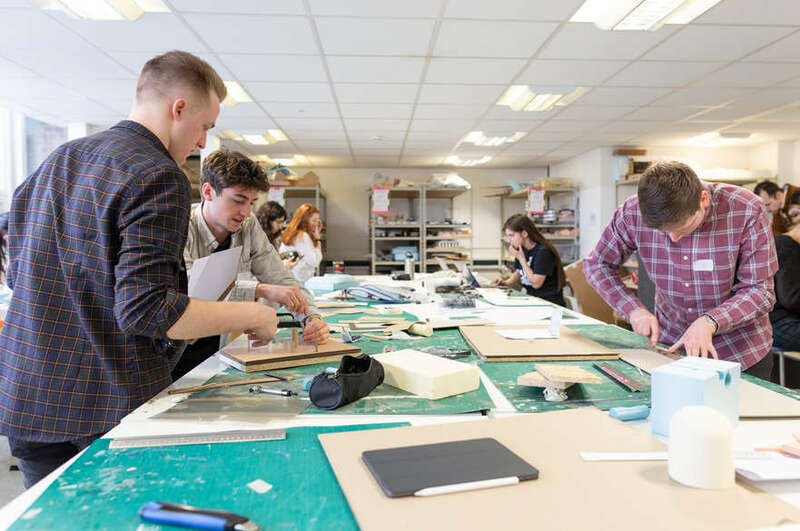 NTU Interior Architecture and Design Course Leader, Ellen Thorogood, who also attended the event, said: "It gave students an insight into the real world of work. For Year Two students it highlights the importance of a placement year and what they could do and achieve. Some of the industry professionals brought in their portfolios, which gave students an opportunity to think about how to design and present their own portfolio in a professional manner. 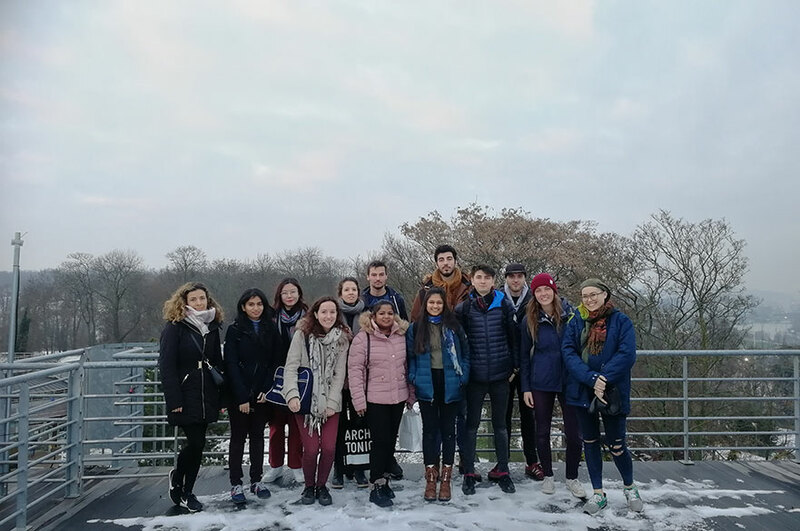 For final year students, it offered them insight into various possible routes to consider after graduation, including architecture, the built environment, construction, design, retail, and branding."